Living in the country means working side by side, whether it be in the kitchen, the garden or the yard. But then again sometimes, SIDE BY SIDE can have a differnet meaning. Karen, this is for YOU!... :) Oh, one more thing. Actually, our refrigerator is a French Door model, but "side by side" seemd cuter, don't you think? Holy Crow girl...are you prepared or what? LOL... I see you have the same condiment issues as everyone else :-) and what a well stocked, comfort filled fridge. Good work! Is that a new fridge? Nothing like a new fridge... especially one that makes ice... my dream. 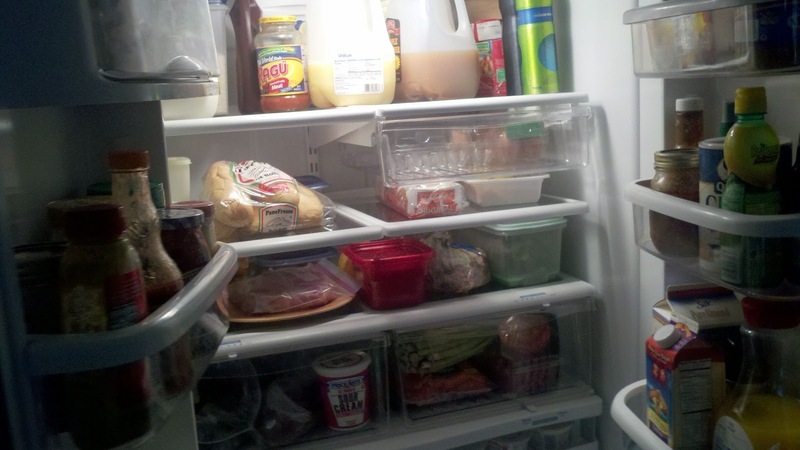 I think you could exist for a long time out of that refrigerator/freezer! 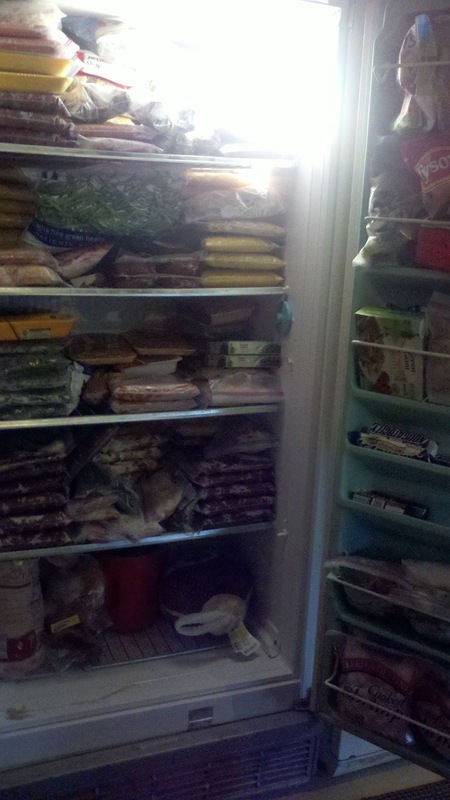 Wow...thats alot of food! what time is dinner! So what's for supper? With all those choices, I bet it'll be something yummy. 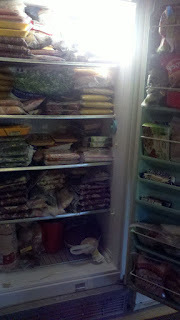 My fridge and freezer is full, too...but not nearly as neat and organized as yours. I often have to pull several things out to reach what I'm after. this just reminds me that i have to go grocery shopping tomorrow! Wow, you've got a well stocked fridge. Inspiring, for sure. And so neat! I stopped by from the Blog Hop and am following you via Linky Followers. I hope you'll pop over to Cottage and Creek and follow back. Thanks!